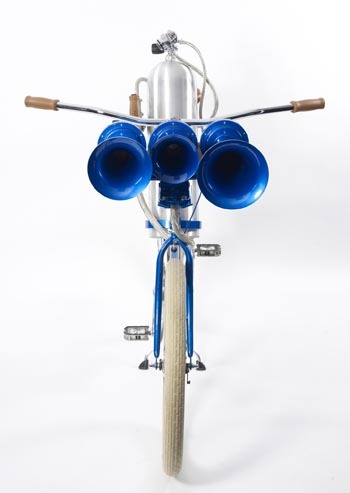 City cyclists who battle to get themselves noticed on the roads can now buy the ultimate deterrent against inattentive truck drivers; a bicycle equipped with a horn that is louder than Concorde. 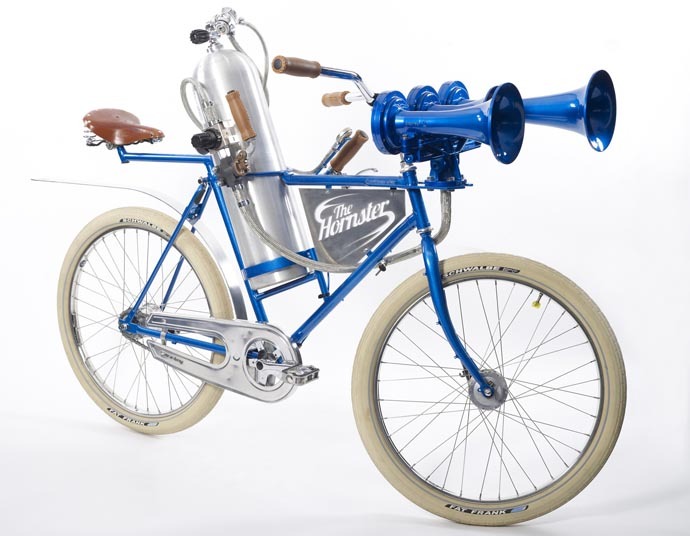 At close quarters the Hornster bicycle emits a level of sound so powerful that, if used in anger, it could deafen any motorist who veered too close. 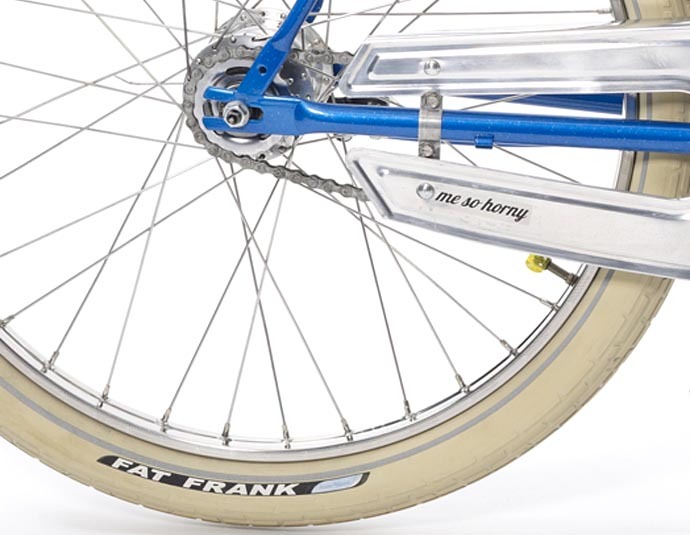 The Hornster bicycle was developed by the Environmental Transport Association (ETA) to highlight the dangers that cyclists face on city roads. Trucks are involved in over half of cyclist fatalities that occur in London. 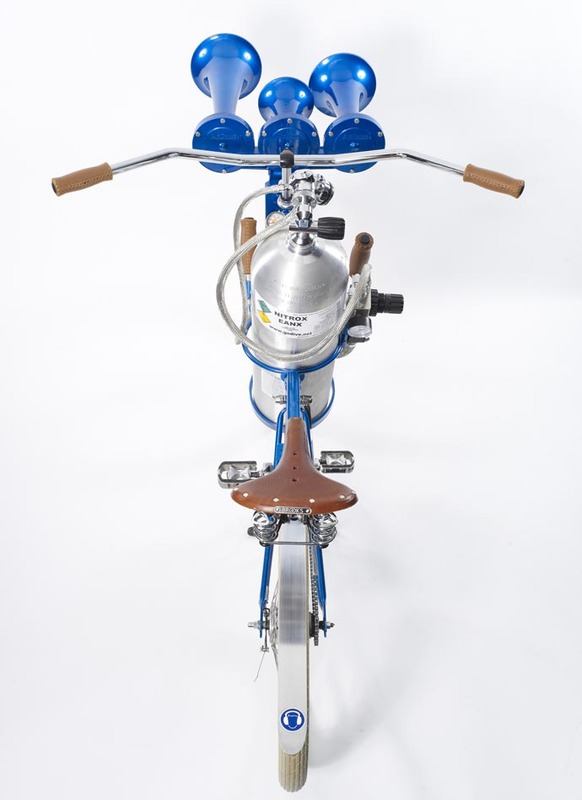 The triple air horn fitted to the bicycle is an Airchime KH3A from an American locomotive, which has been adapted to run off a scuba diving cylinder. The Hornster is so powerful that at a distance of 100ft it is far louder than a standard truck horn and more than noisy enough for a cyclist to make themselves heard above the din of the urban jungle. The ETA has previously built the flamethrower-equipped BOND bike and the world’s smallest caravan ( QTvan ). Have you insured your bike?